The Environmental Management & Protection program is an undergraduate, interdisciplinary course of study integrating the biophysical and social/economical/political sciences. The curriculum emphasizes management and protection of ecosystem structures and processes that sustain uses of environmental resources. The major will provide students with the science and management background in natural resources that, when properly integrated, can guide consumptive uses of resources in a sustainable manner. The purpose of environmental management and protection is the sustainable management of environmental resources to balance uses and values for current and future generations. Because environmental problems arise from human demands on the environment, solutions must focus on the human dimension of the ecosystem. Thus, environmental management is the management of both people and resources to attain human goals while protecting environmental values in order to sustain natural systems. 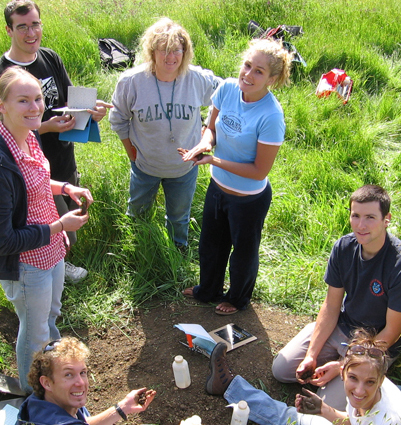 Students are prepared for a broad range of professional careers in environmental science and management. Graduates are educated in environmental assessment, impact analysis, and management of natural resources. Knowledge of the legal and regulatory environment is balanced with study of other theories and practices to solving social conflicts over the environment. The Environmental Management & Protection (ENVM) major is endorsed by the California Association of Environmental Professionals (AEP). The AEP is a professional association representing the full range of environmental professions, both private and public sector. The AEP has partnered with the NRES Department to provide students in the ENVM Major with several paid internships in major environmental consulting companies each year. The AEP also makes a $1000 scholarship available for new students. Please see the NRES department for more information on how to apply for the scholarship.